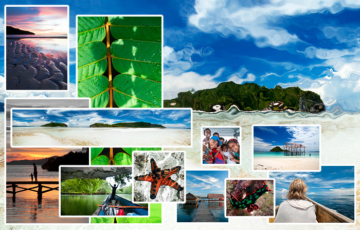 Photo by Ranny" href="https://www.stayrajaampat.com/wp-content/uploads/2015/03/facebook-20150313-140051.jpg">At work in front of a sign that says "Friends.. you know.. the sea is not a rubbish bin. 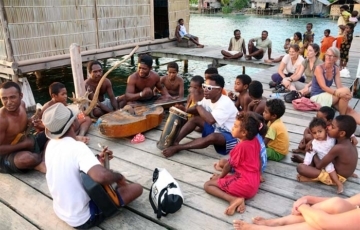 The sea is the future of Raja Ampat." 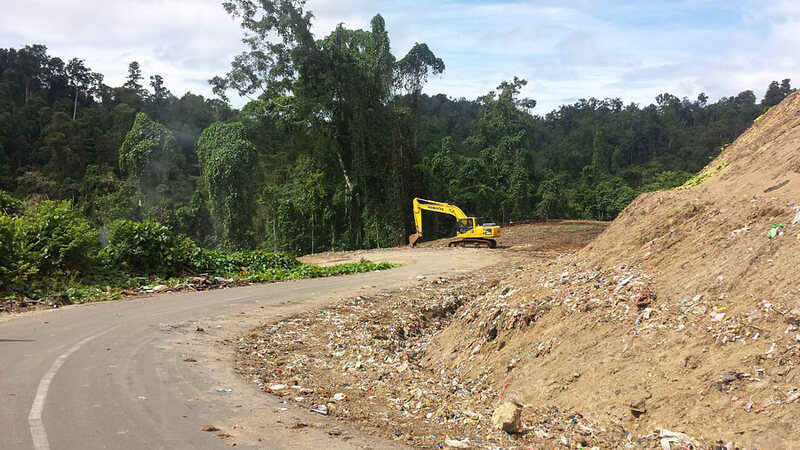 Dinas Perkerjaan Umum dumps Waisai rubbish on the Saporkren Road. The motto on the truck? 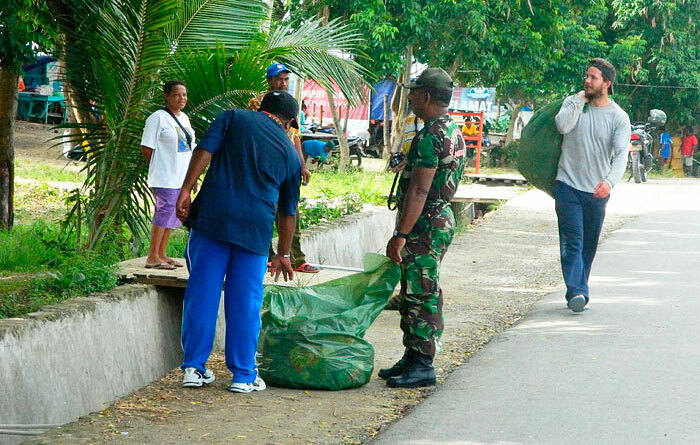 "Dispose of rubbish in the right place"
Clean Raja Ampat. That’s the name, vision and aim of a dedicated group of local heroes who chose Friday March 13 2015 as their first day of action. 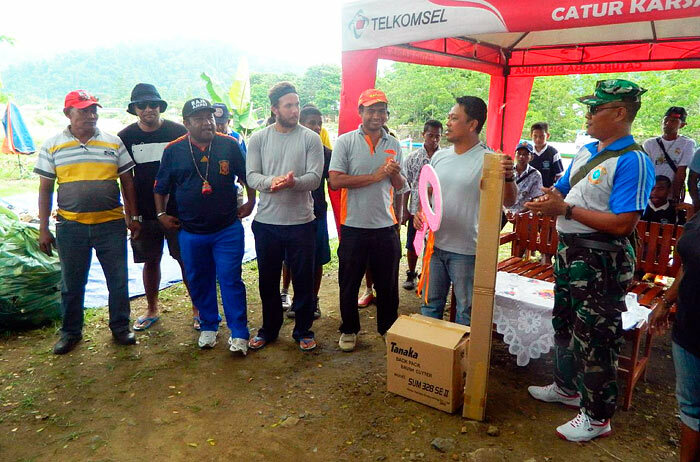 Successful lobbying by this committed core of volunteers resulted in the cooperation and support of Raja Ampat’s Departments of Tourism, Education, Fisheries and Transport as well as a contingent of local army and navy personnel in the first ever Clean Up Waisai day. 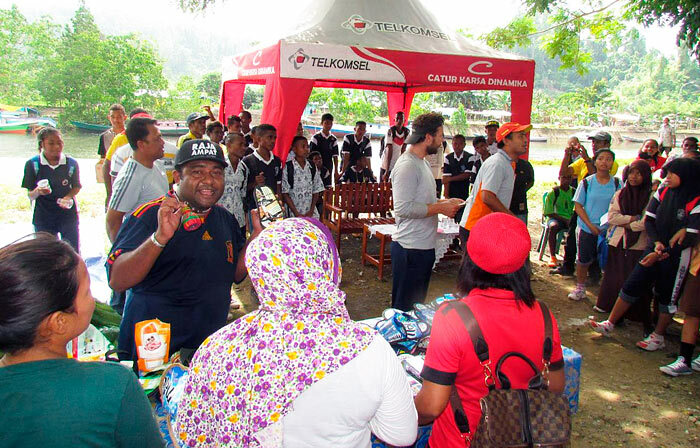 With sponsorship from Telkomsel and the participation of various other community and district organisations, the event was a great success. 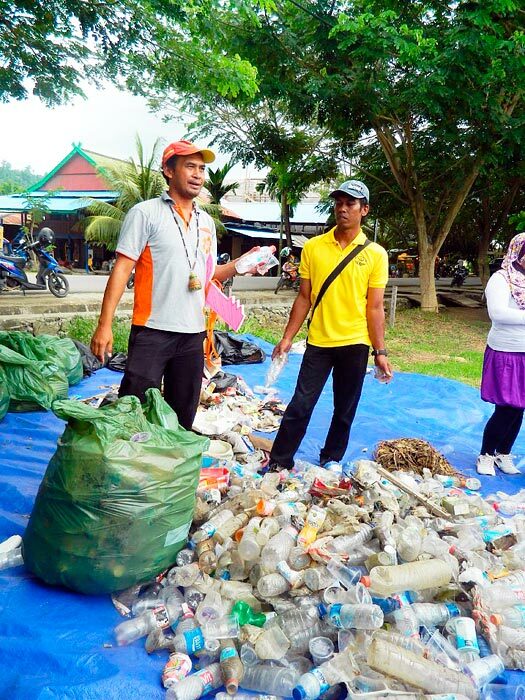 Most of the marine plastic debris in Raja Ampat comes from trash thoughtlessly discarded on land – a problem that Clean Up Waisai Day aimed to address. 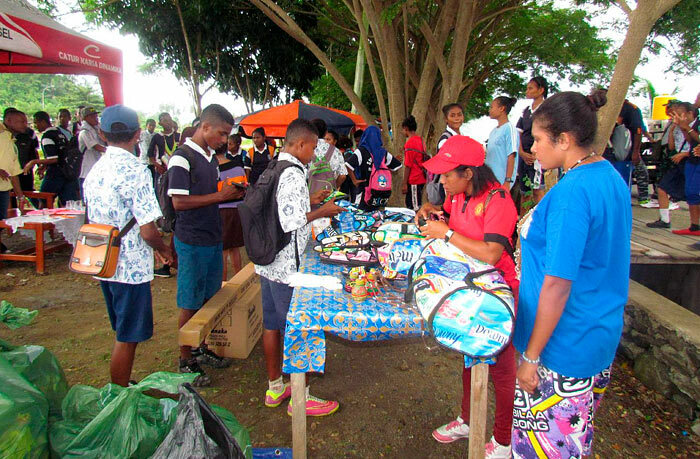 Focusing on rubbish in street gutters, along the river and in other areas from where it would eventually wind up in the sea, the day was a festive occasion which included displays of products made from recycled plastic waste, music performances and education of children about the importance of not littering and of how to properly wash their hands after pitching in to help. 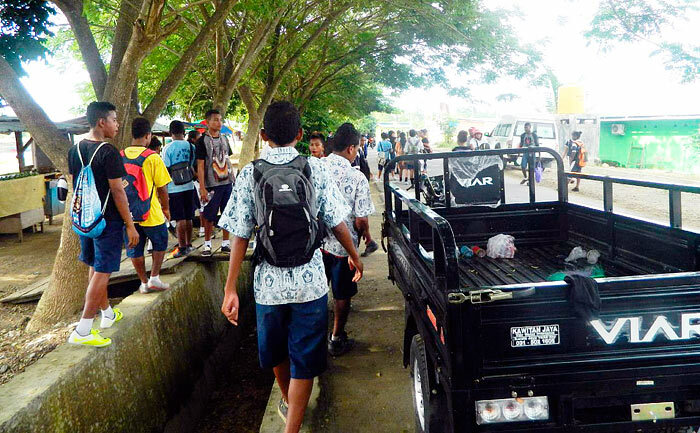 Dinas Pariwisata, the Dept of Tourism, provided tempat sampah (rubbish bins) for distribution and donated a motorcycle pickup to the effort, while Dinas Pendidikan (Education Department) authorised the participation of all Waisai’s school children. 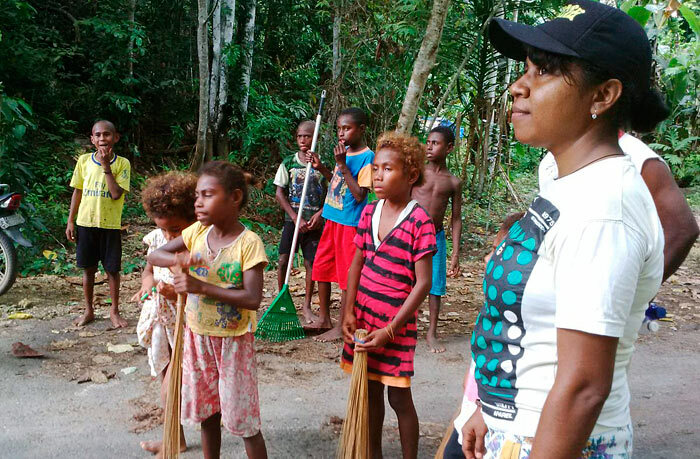 The driving force behind the Clean Raja Ampat team is Ranny, a community-minded Raja Ampat tourism guide who, in her work as a tour guide, witnessed the proliferation of marine plastic debris in Raja Ampat and became determined to do something about it. Initially working alone and feeling rather powerless, Ranny’s first ally was Waisai doctor Dr Agus Harianto. 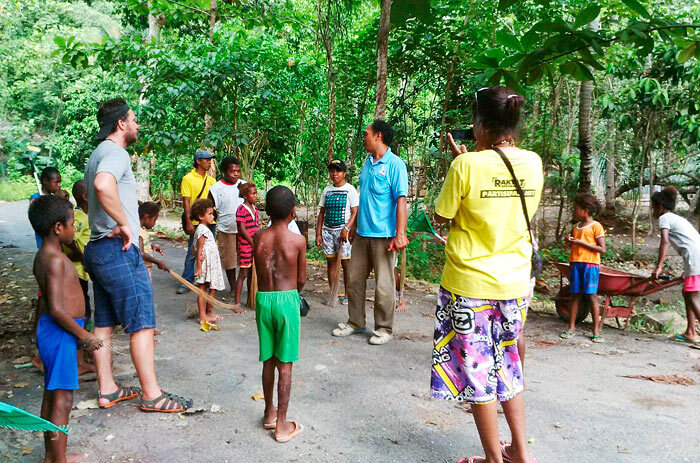 Dr Agus, concerned about the health risks posed by the rapidly growing amounts of trash lying uncollected in Waisai, is working toward the establishment of a Bank Sampah – a scheme which will pay local citizens to collect the plastic waste currently providing breeding places for disease-carrying mosquitoes. His plan aims to be self-sustaining by using small scale thermal depolymerization reactors to render the plastic into fuel oil, the sale of which will fund ongoing collections. 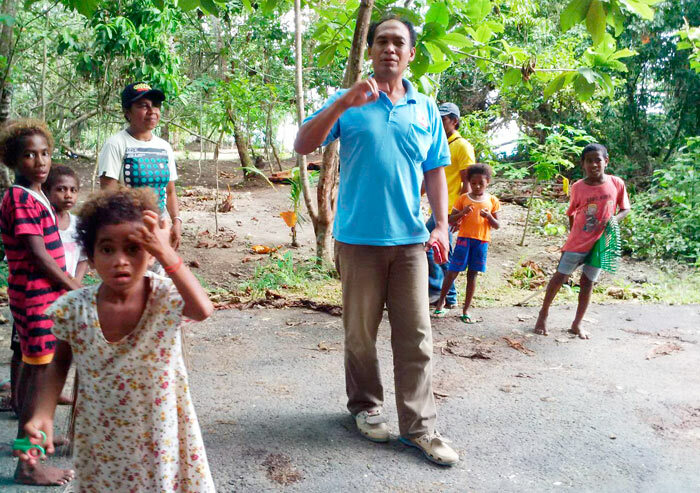 Ranny and Dr Agus made little progress in the first two years of their efforts, as Dr Agus’ time was largely devoted to his patients and Ranny found little interest in government circles for their plans. All great ideas have their time though, and last Friday’s cooperative effort demonstrated that the time for this one is now. Ibu Yuning M. Fonataba: A talented Waisai artist and musician, Ibu Yuning adapts traditional Papuan motifs in her unique style of contemporary painting and is well known as a gifted musician and songwriter. 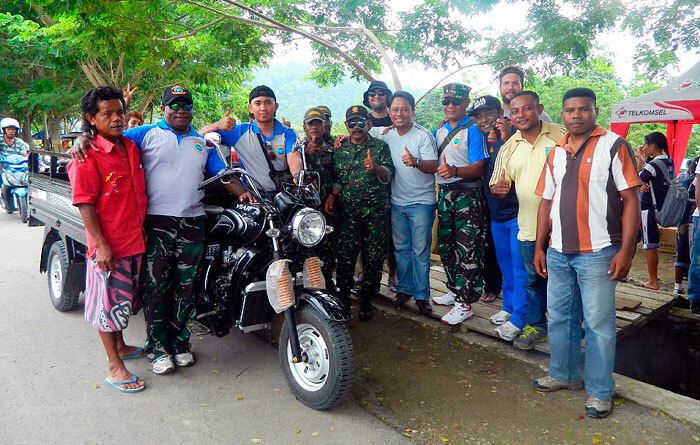 Pak Joris Omkarsaba: Pak Joris is a Waisai based Papuan journalist and youth activities organiser. 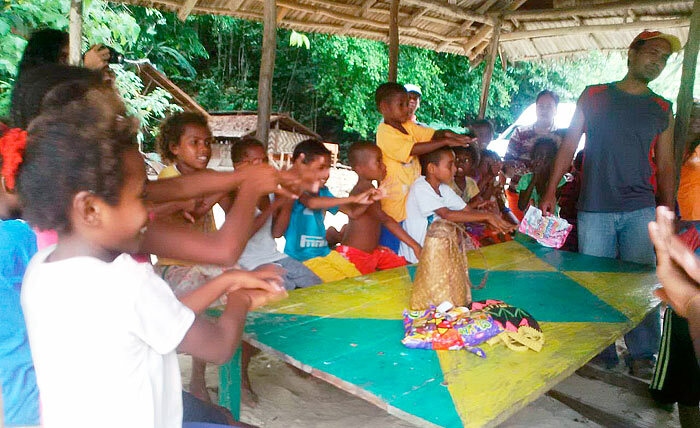 Ibu Ina Mayor: Ibu Ina’s family is from Yenbeser village on Pulau Gam and owns Yendebabo Homestay, one of the first homestays in the islands. 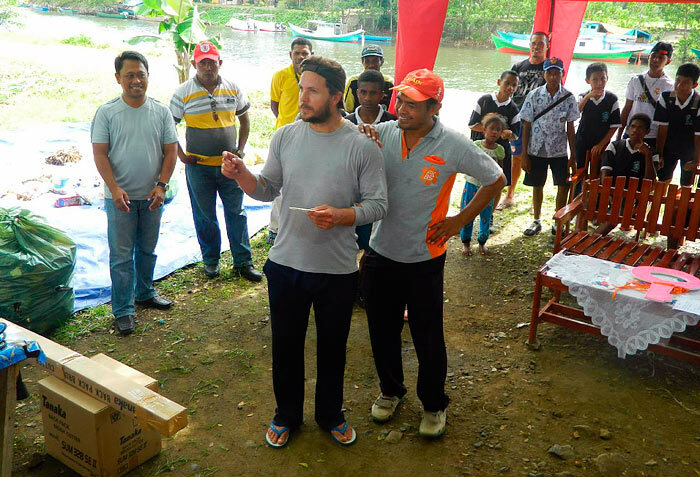 David Pennington: Originally drawn to Raja Ampat by the region’s superb sea-kayaking, David developed firm friendships in the islands, saw the necessity for effective waste management and committed to helping out. 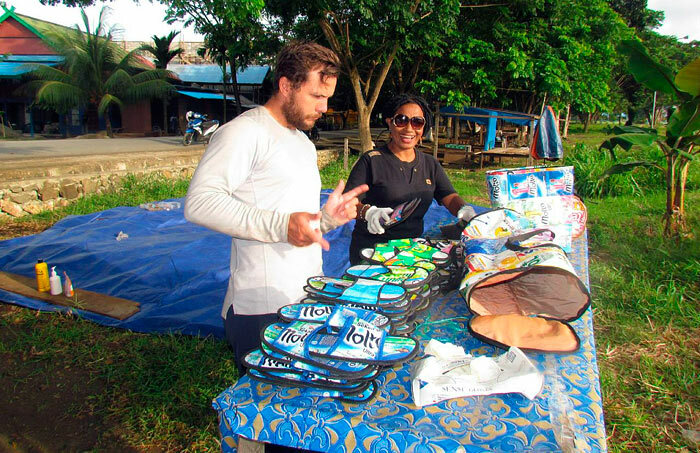 David’s Friendly Drifter program has since raised substantial funds to help address the problem of marine plastic debris in Raja Ampat. 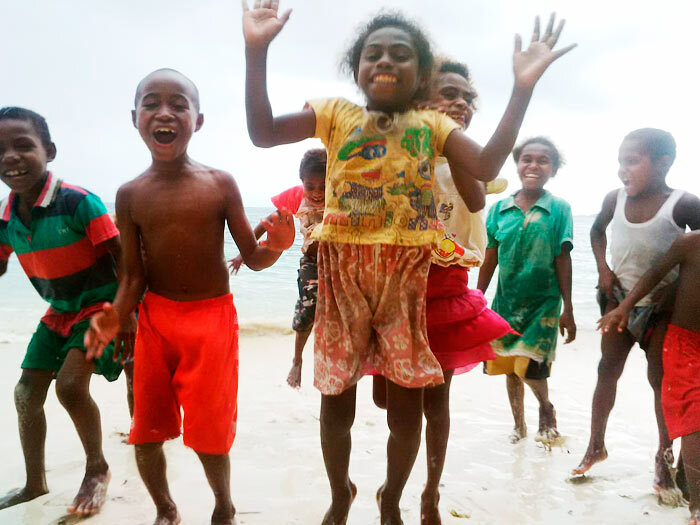 An illustrated children’s book,“Ocean Warriors – Plastic in Paradise” has been been created and distributed to help educate local communities about the dangers of marine plastic debris in Raja Ampat, and Friendly Drifter has attracted the interest of plastic recycling technology suppliers who want to help. 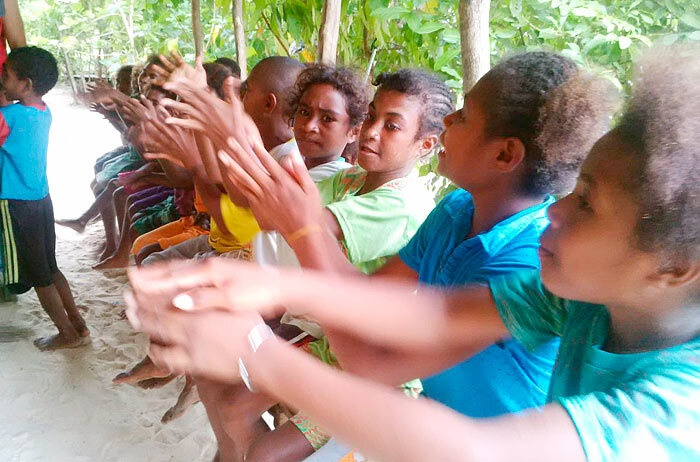 If you’d like to support Friendly Drifter’s work in the islands, get in touch via their website or facebook page. 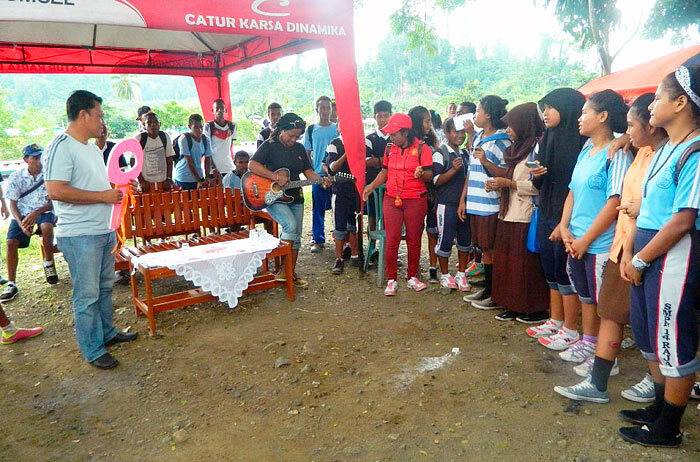 Last Friday’s event, while acknowledged by Clean Raja Ampat as no solution to the wider problems with waste disposal and marine plastic debris in Raja Ampat (read more about those here), is nevertheless a great start and a worthy effort – especially so in respect to gaining the recognition and support of government authorities. It’s an auspicious beginning. 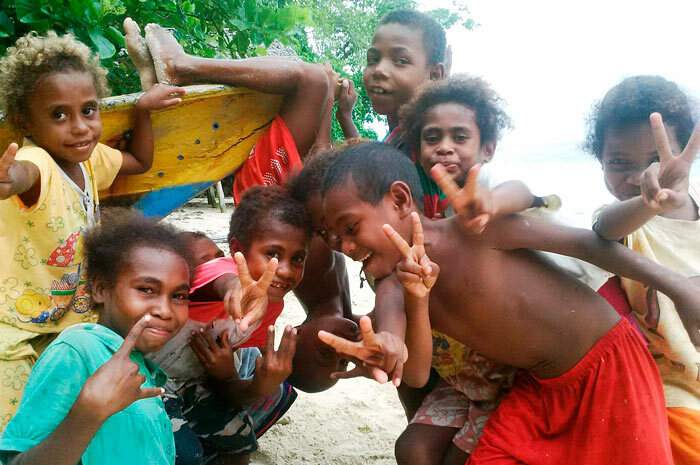 The team has secured land and support to build an education centre and shop for recycled products in Waisai and next week the team will meet with the Bupati of Raja Ampat (the head of the Regency Government) to discuss further support, including a plan to collect rubbish from all the island homestays. 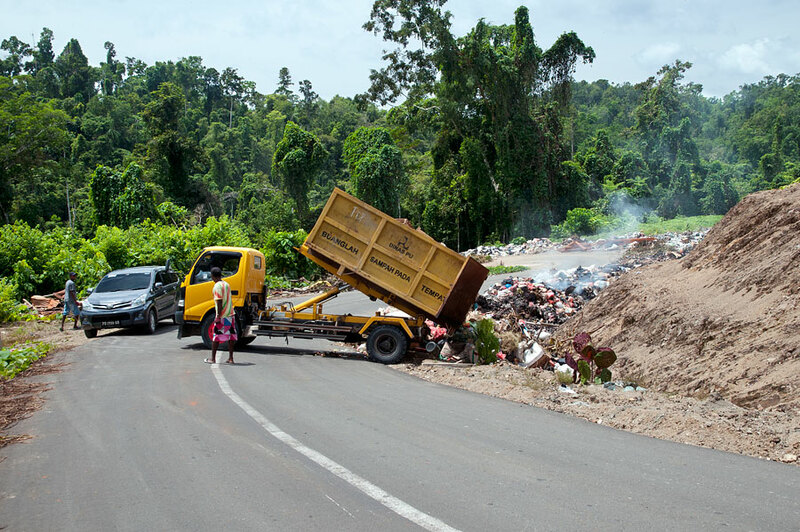 One of the questions they might ask Pak Bupati is why Dinas Perkerjaan Umum (the Public Works Department) is currently dumping all of Waisai’s rubbish in the gutters of the road to Saporkren. Where it traverses a steep hillside up behind the airport, and from where all its toxic leachates and lighter elements will be washed straight downhill into the sea by Waigeo’s heavy rainfall. It would be such a shame if the result of Friday’s community effort was destined for that hillside. 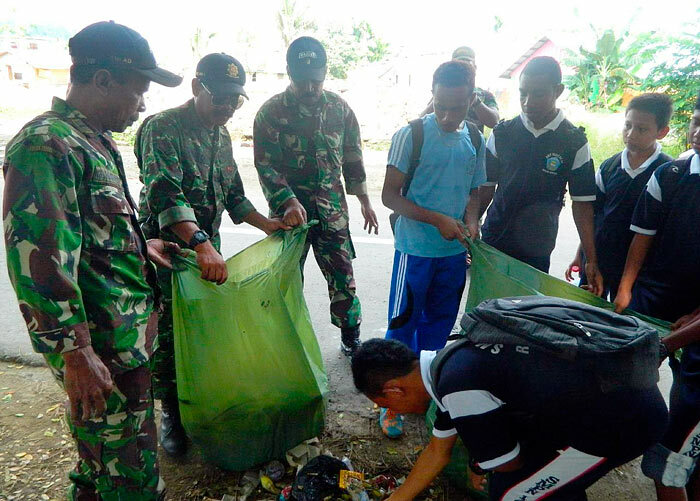 It’s another reason why, if you want to be sure that your own trash doesn’t wind up contributing to marine plastic debris in Raja Ampat, that you have to take it with you when you leave. UPDATE MARCH 15: More excellent news! David Pennington reports that the Saporkren Road dump site pictured above has been cleaned too. Hopefully a properly constructed and secure landfill site now exists for all Waisai’s waste and the Saporkren Road trash has been transported there and has no chance of ever winding up back in the ocean. It’s still a good idea to follow the “if you make it, take it!” rule, though. Thanks to David for the update and his photo below of the now cleaned site. During our recent 10 day kayak trip around Gam island we found most of the homestays were looking after their patch of beach and disposing of the plastic waste washed up on the shore , mostly by burning as the logistics of disposal otherwise don’t exist. However, we came across several beaches where there were large collection of plastics, old clothing and footware washed up by prevailing winds and tides. 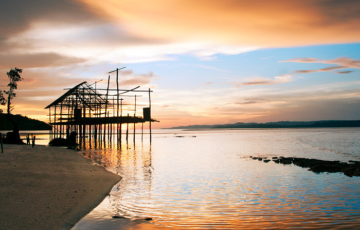 These were on the west end of Kri, the south beach east of Lumba Lumba and one of the south beaches on Gam west of Tau Yado homestay. Also the beach between Mandos homestay and the village on Weigo. 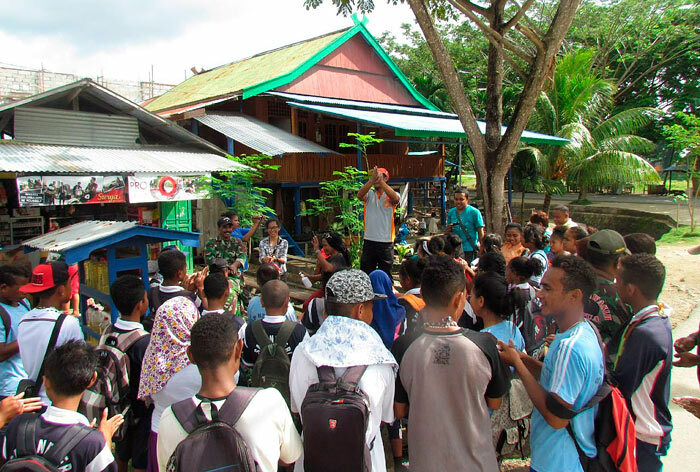 Hopefully more and more of the local Raja Ampat community will continue to be educated about the importance of keeping the islands free of rubbish as time goes on. 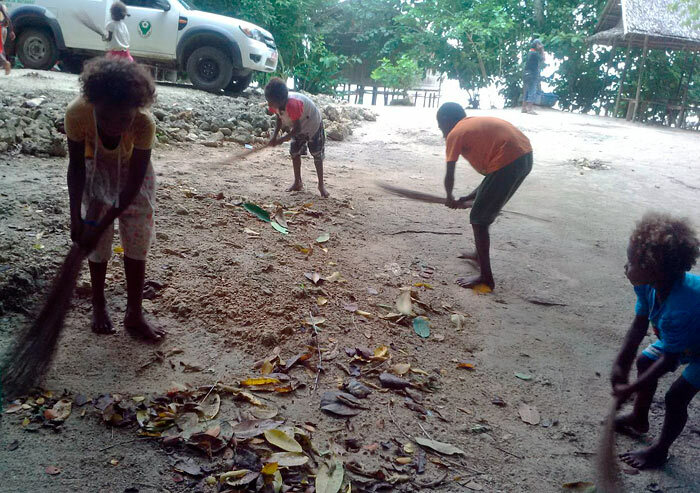 We certainly found that Weigo, Gam and Kri were a lot cleaner than Sorong, so great work by the communities on Raja Ampat. Hi, I’m Nadhira, as local, this is a major stepback in Indonesian tourism. 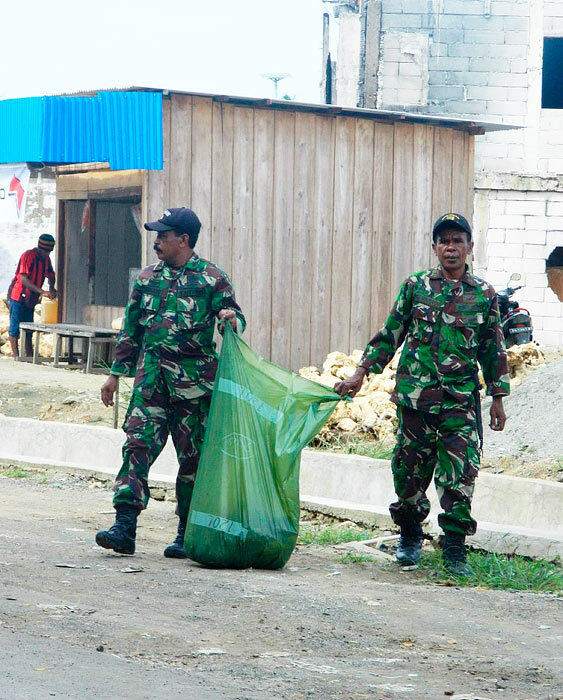 there are lots of marine debris issues occurring in almost every place in Indonesia. 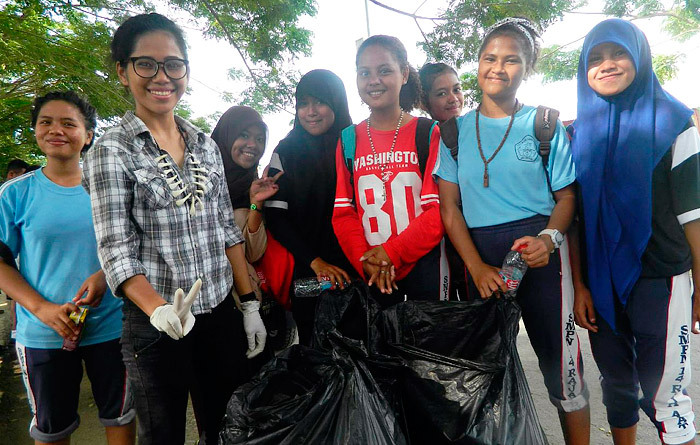 I’ve been struggling with my friends in combating marine debris which are polluting our oceans especially in Kep Seribu, Jakarta, and I’d love to join this Clean Raja Ampat team when I get there! could someone share their contact? it would be very helpful, thanks! Just click the link we provided in the text for Ranny’s contact details. Raja Ampat is indeed a very dirty place assuming it’s number of inhabitants. I’d put all my garbages in my bag during my trip there, and brought them back to Surabaya (Java). 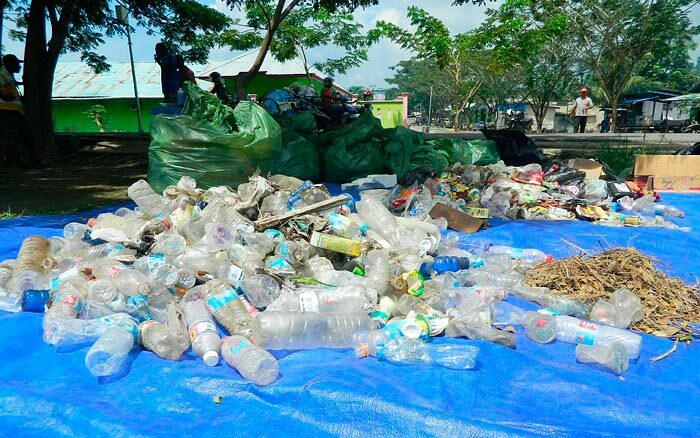 I did not even wanted to let’em in Sorong since I think most of the polution comes from this city, especially plastic bottles. All I can do now is to highly suggest next travellers to do the same, to keep this place beautiful for the upcoming centuries. Hopefully the Clean Raja Ampat team is going to make a big difference there Manu – and good on you for taking all your rubbish away with you! If every visitor did that, the garbage problem in the islands would be significantly reduced. Great news! I know of Ranny’s hard work and commitment to this project. I am thrilled to hear that she has gotten help and good results are coming. Raja is too dear and wonderful to lose to garbage.